The Chaminade University campus in Honolulu's neighborhood Kaimuki. Chaminade University has gained approval from a court appointed manager to continue the doctoral program in clinical psychology previously run by the now defunct Argosy University Hawaii. The Argosy program was one of only two in the state that produced doctoral-level clinical psychologists. Honolulu-based Chaminade University began pursuing the acquisition of the clinical psychology program after Argosy University announced on March 6th that it would likely be closing its nationwide network of 22 campuses at the end of that week. Argosy officially closed its doors on March 8th. The abrupt, midsemester closure threw students and faculty into chaos. Student veterans attending Argosy on the Post 911 GI Bill saw their housing stipends cut off. The Department of Education will forgive federal student loans for the current term or for any student who does not complete their degree. Multiple students interviewed by HPR faced the prospect of having to transfer to other institutions and repeat entire semesters or academic years. Argosy Hawaii’s clinical psychology doctoral program, known as a Psy D, generated particular concern from local and national mental health advocates. The loss of the program would have left UH Manoa as the only remaining university in Hawaii producing doctoral-level clinical psychologists. Before Argosy had even closed, Hawaii Pacific University announced that it was seeking to acquire the Argosy Psy D program. Last week HPU held an information session for Argosy students to discuss the prospective move. On Friday, HPR was the first Hawaii news outlet to report that Chaminade University was also pursuing the same goal. Chaminade President Lynn Babington told HPR that the university was working with the American Psychological Association and the Western Association of Schools and Colleges to acquire Argosy’s program and maintain accreditation. An agreement with those two bodies is still pending. Today, Chaminade confirmed that it had gained necessary approval from those bodies. The transition will include a so-called “teach out” program that will allow existing students to complete their training and admit new students going forward. In a written statement, Chaminade stated that all of the approximately 100 students and faculty from Argosy Hawaii’s program would be moving to Chaminade. Correction: A previous version of this story stated that Chaminade Unviersity had revceived approval from accredidation agencies. That approval has not yet been granted. Chaminade has been given approval by Argosy University's court appointed manager. Update, March 18th, 630pm HST: Chaminade Unviersity has confirmed that Dr. Sean Scanlan, former dean of Argosy’s PsyD program, will be the director of the new program. Other faculty members will be hosted at the campus on Tuesday. Update, March 18th, 3pm HST: Hawaii Pacific University has told HPR that it is still purusing the creation of a new PsyD program and is working with the American Psychological Associaiton to gain approval for its own program to complete training for former Argosy Hawaii students. When Argosy University abruptly closed its nationwide network of campuses last week, 800 Hawaii students suddenly found themselves adrift. Argosy was home to one of the state’s two programs for producing doctoral level-clinical psychologists. Dozens of students were faced with the prospect of having to completely restart their training, which can take as long as six years. Argosy University is expected to permanently close its doors today. 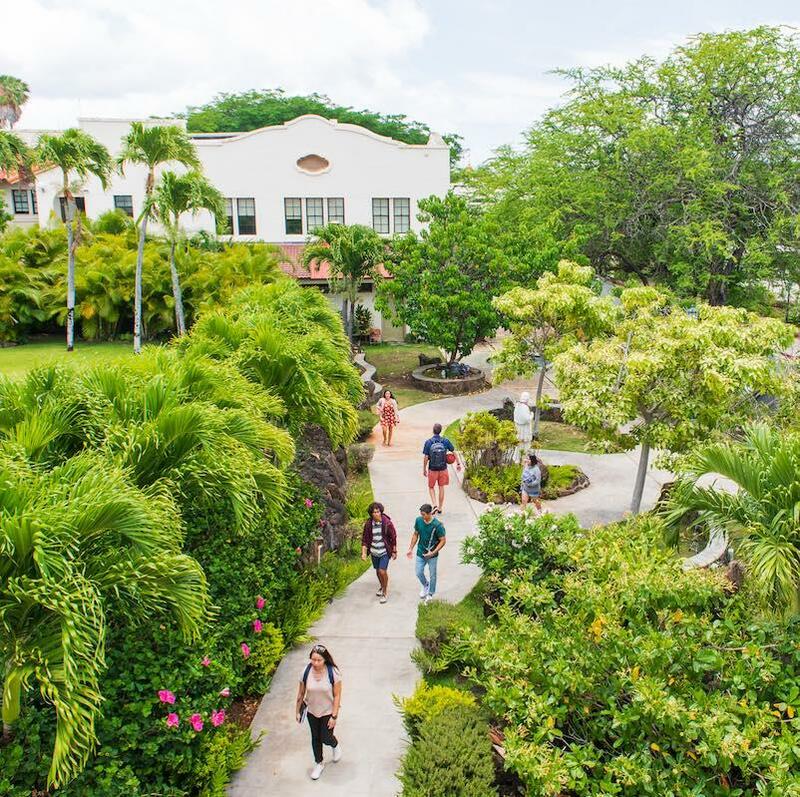 The private university has 22 campuses around the country, including three in Hawaii. Earlier this week, Argosy said it would likely cease operations at the end of the week, sending students and faculty scrambling. State officials are encouraging current and former students of Argosy University Hawaii to obtain their records from the institution immediately and attend a school transfer fair tomorrow. This follows an announcement by the university that it may close on Friday, the state Department of Commerce and Consumer Affaris said in a news release today.